Dyslexia is a learning disability that impairs a person's ability to read, and which can manifest itself with such symptoms as a difficulty with phonological awareness, phonological decoding, orthographic coding, auditory short-term memory, and/or rapid naming. 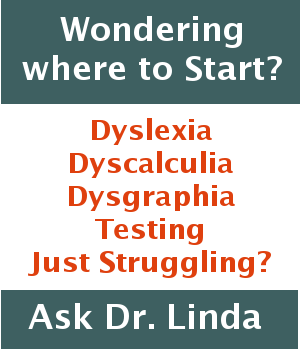 When looking for dyslexia treatment or a dyslexia test, a good place to start can be to get down to the root causes of Dyslexia. Dyslexia symptoms can be varied, and a dyslexia definition can be a good starting point. Grab a copy of our Free! Dyslexia Toolkit right now! In our article on dyslexia types, we bust the myth that there are different types of dyslexia. The existence of successful individuals not to mentionfamous people with dyslexia, proves that people can live successful and fulfilling lives if the disability is addressed correctly following a dyslexia diagnosis. Children who need help with dyslexia are in the best position when they’re in a dyslexia treatment program that understands how to give both academic and emotional assistance. Research what you need to know about a dyslexia analysis , and you’ll likely not get this perspective. Scott is in the 10th grade and suffers from severe dyslexia. He is an extremely bright, quiet and good looking young man. He has a high vocabulary and can talk about his subjects on a high cognitive level. However, his reading and spelling are at elementary school level. Visual Dyslexia? What does that mean? Is there a Dyslexia Test? Wouldn’t it be wonderful if we could go online, take a dyslexia test, and learn if we are dyslexic? Unfortunately, dyslexia is not that easy to diagnose.